In this article we will show you what to do in case you are facing error The proxy server is refusing connections. Most often, you can see this message in the Mozilla Firefox browser, but it can also appear in the TOR browser. How to Fix The proxy server is refusing connections Error? The title of the error message shows that the problem is in the settings of the proxy server. A proxy server is an intermediary computer between your device and the Internet. Typically, a proxy server is used to anonymize, bypass blocking sites and cache static resources. In the event that proxy settings are set on your computer, all requests will go through the server, which is set in the settings. 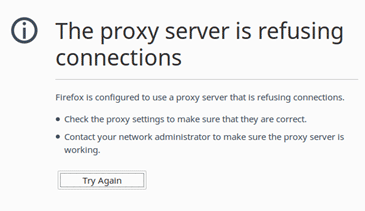 And if this server doesn’t work, not available or overloaded, then the error The proxy server is refusing connections will appear in the browser. 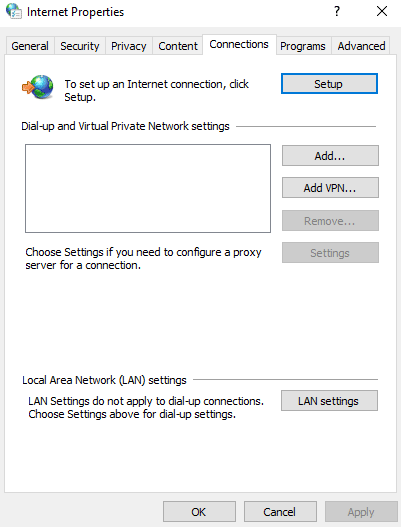 You can set the proxy settings both in the browser and in the Windows settings. By default, these settings are not defined (the proxy server is not used). But, there are many different programs, including malware, adware or some other harmful software, that can change these settings. First of all, you need to check the proxy settings in Mozilla Firefox itself. 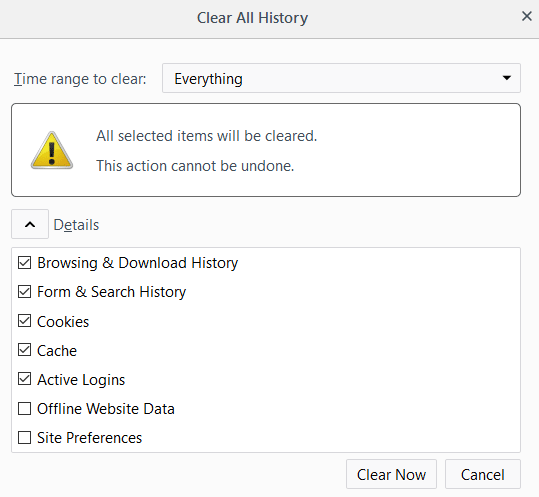 Open Firefox Options (Tools -> Options). Scroll down to the Network Proxy sections and press Settings button. 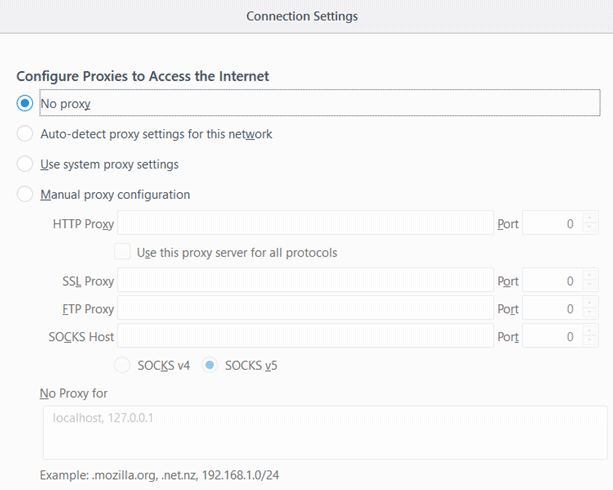 In the new opened window make sure that No proxy option is selected (also you can try Use system proxy settings option). Click OK, close the browser, re-run it and try to visit or reload some website. Most likely, this will work. But after rebooting the computer, the browser will receive an error about refused connection again. In this case, your computer probably has some kind of program, that changes these settings. We’ll take a closer look on that in the end of the article. Try to reload the page again. Try to disable all add-ons/plugins in the browser (especially VPN extension).